1.1.1.1, the privacy-first DNS resolver is now available on the go. No one should be able to snoop on what you do on the Internet. We've created 1.1.1.1 so that you can connect to the Internet securely anytime, anywhere. - By using a secure connection, 1.1.1.1 makes sure no one can snoop your DNS queries. - Some ISPs use your DNS queries to sell your data. Cloudflare will never sell your data or use it to target ads. Period. - 1.1.1.1 makes the Internet faster by using Cloudflare's global network. - On average, we are 28% faster than the next fastest public resolver. - One-touch setup to make your Internet more safe and private. 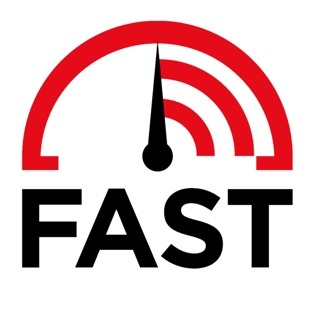 - Install it today, get faster Internet, it's that simple. Best of all: No upsells, no in-app purchases, and free for life. Website owners pay us to make your Internet faster so you don't have to. • We improved the way we detect captive portals. • Fixes related to claiming your spot on the waitlist. • Fixes related to IPv6-only networks. Please submit feedback if you see issues with Twitter app. Get the most from your phone. The best DNS-VPN available. If you want 1 App that will make the biggest improvement on your phones performance this is it. Many people are not even aware what the DNS is or does but if you have ever been online you are using a DNS and Cloudflare does it the best from the time it takes your phone to look something up to the time it takes your website to resolve. The fastest way to connect to the internet from any device WiFi or Cellular this is it with the added comfort of not only Internet Privacy & Security. Tired of your ISP constantly controlling your IP or practically every site selling your info and constantly data mining your phone burning up your memory, battery, and slowing your phone down then 1.1.1.1 helps with all of the above. Took under 30 seconds from downloading the App to having it fully functioning on my XsMax. The only issue I have had is since I upgraded my phone with 1.1.1.1 I have had Viber, my VoIP calling & messaging favorite freeze up on several occasions which I never had an issue with previously but may be an issue with them or Apples new software, in any case erasing and downloading the Viber App again gets it right back but has been an issue because once it freezes nothing can clear it and you can’t make or receive messages while it’s frozen. I’m assuming a software compatibility some VoIP services have while you are using any VPN. I saw a friend using this app on his iPad. I then went to the web and researched it. I thought the goals of this app (better privacy, speed) were really good ones, and I thought the app was an innovative way of achieving them. Unfortunately, I found the app was killing my battery. I downloaded it to my 12.9” iPad Pro, my 11” iPad Pro, and my iPhone XS Max, and it was the same on all of them. As soon as I disabled the app, my battery drain returned to normal. Interestingly, as someone else mentioned in their review, the battery indicators on my iPads and iPhone didn’t show the app as using much battery. But I could notice a substantial difference in battery drain with the app enabled vs. disabled. Too bad! I really wish this app didn’t drain my battery as fast as it does. But it looks like Comcast is going to be able to see my DNS queries again. Many apps that are offered for free aren’t really free you won’t have to pay out of pocket but you instead pay with your data they’re collecting and then selling. I don’t think I’m alone in saying I will gladly opt to pay out of pocket for an app that I can trust and makes my privacy a priority. Without naming any names (we all know who they are) as consumers we have been sold out by majority of the big tech companies. You guys are helping to restore something we shouldn’t have ever lost. Keep up the GREAT WORK!!!!! FOR THE PEOPLE LEAVING NEGATIVE REVIEWS how bout you do a lil bit of reading they never claim to be a vpn or try to float by vague statements or lying by omission. Clearly states that it’s not a vpn app!